Lucy’s Flower, a photo by carolinearmijo on Flickr. 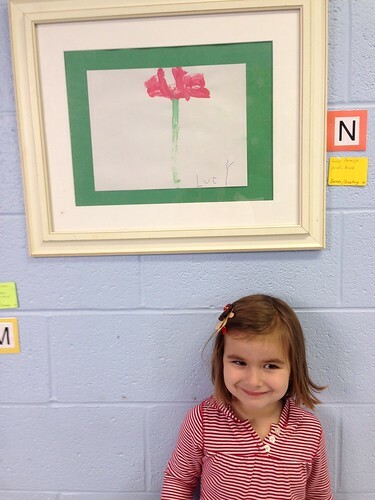 Lucy’s artwork is currently on display at her school. I love her pink flower. It reminds me of so many of my favorite varieties. Grandma and Uncle are in town for a meeting today. I’m secretly hoping to take them by for pickup so that they can see Lucy’s work on display.